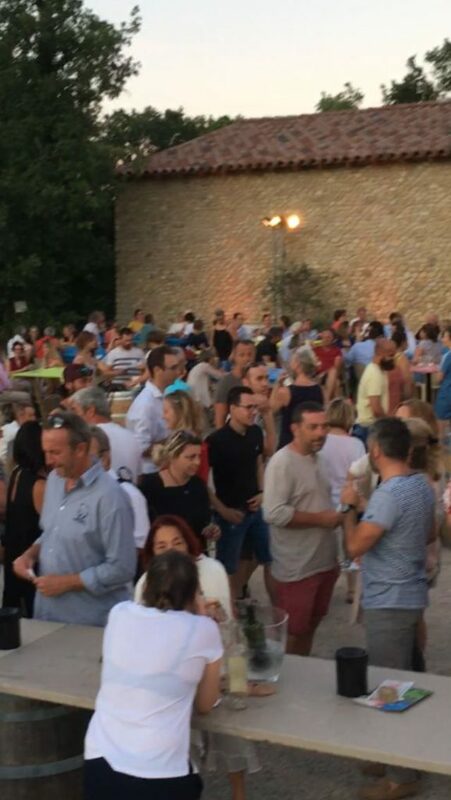 Friday night, was our musical soiree with Chateau Pesquie, Chateau Croix des Pins and Domaine Chaumard. It was super hot, but with a breeze and the crowds came. 340 people to be precise! 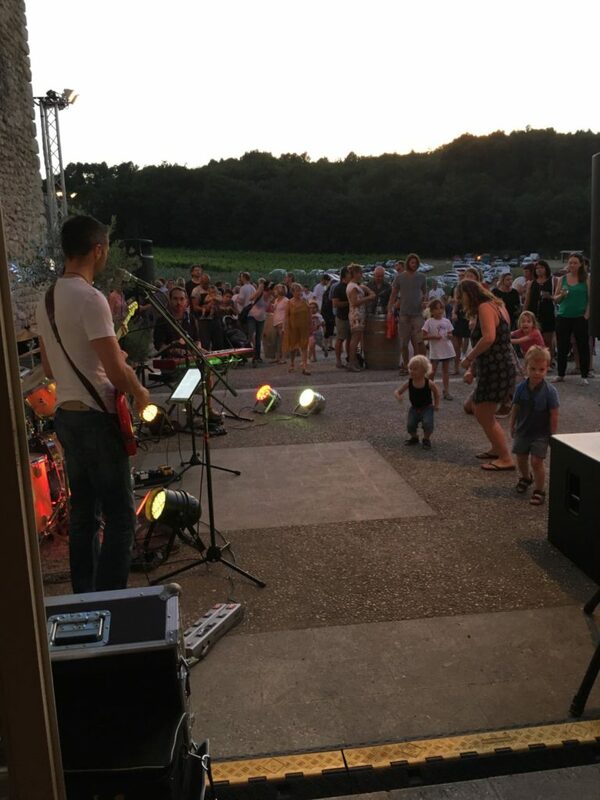 Parking was full (in the horses field), the band – Soul Music – was wonderful – playing non stop from 8.45 to 12.15 – there was laughter and dancing! The food trucks were delicious and took their time preparing their delights. The next excitements here are on the 11th and 12th July. 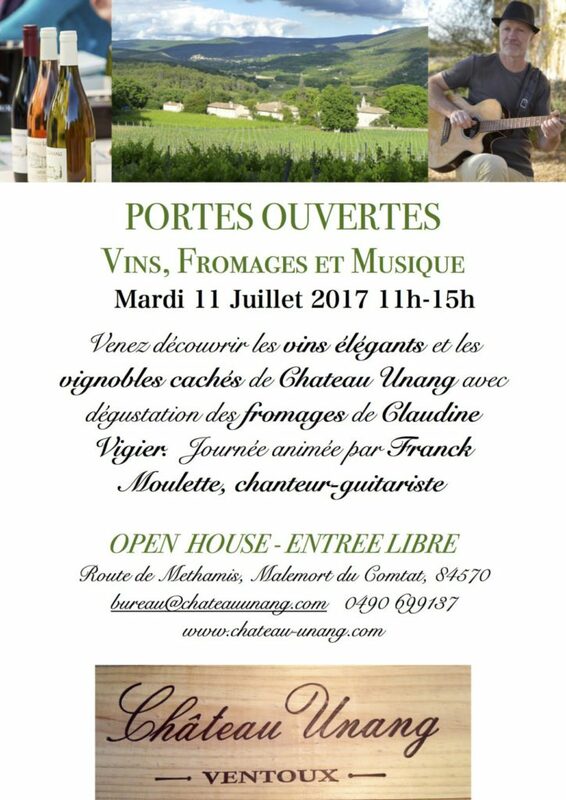 On the 11th we have our summer Open House when you can come and taste the wine, and enjoy the delicious local produce that we use for our picnics over lunchtime – it is very relaxed with Franck playing his guitar, and a great mixture of locals and visitors from further afield. 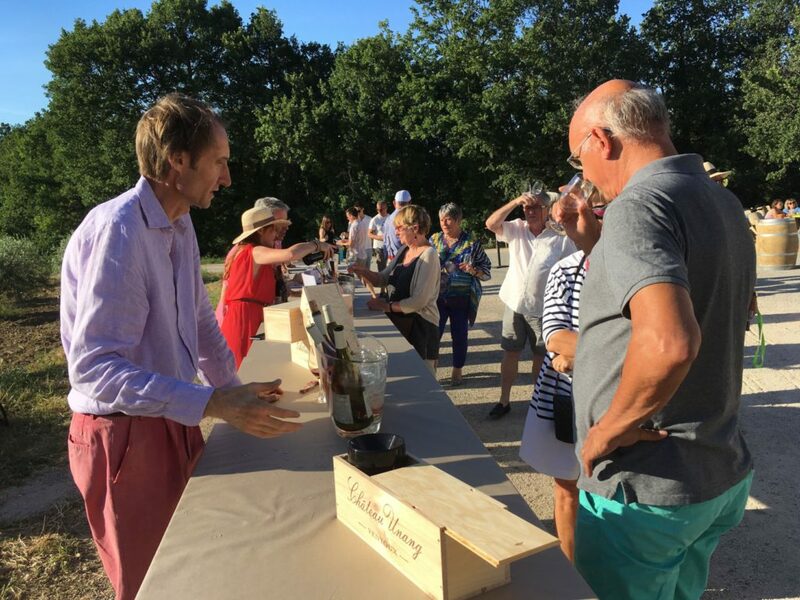 On the evening of the 12th we are having our annual Soiree which starts at the cave and from there we all wander through the vineyard, pausing at the 18th century stone bassin, and continuing to the lovely chateau terrace and gardens for the main part of the evening. This year I am very excited to say that we have Duo Alcor playing. Cordelia Palm on the violin and Aliénor Girard-Guigas on the harp. 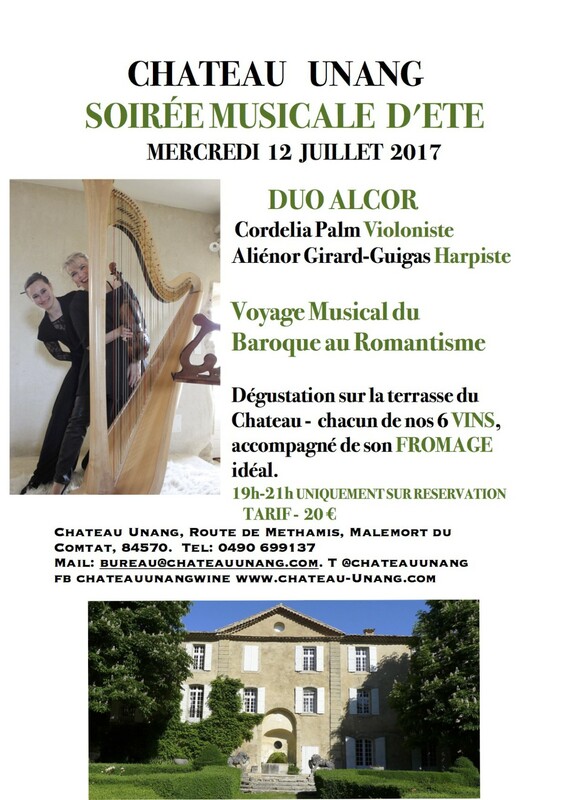 These very talented musicians will play a mixture of music from Baroque to Romantic – both at the bassin and at the Chateau. 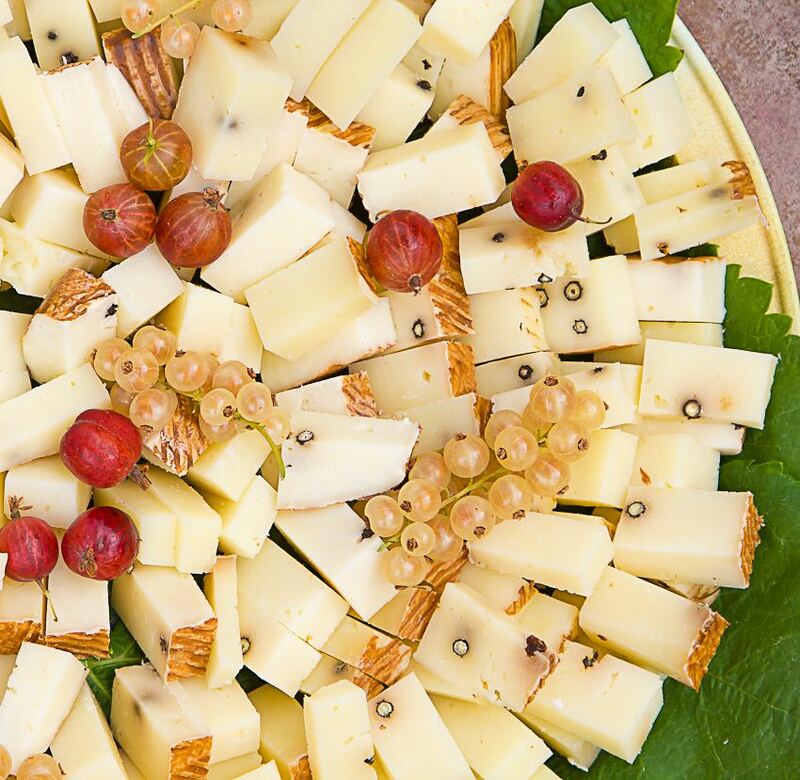 Of course we will also have our 6 wines to taste during the evening, each accompanied by its perfect cheese partner selected by Claudine Vigier from the Fromagerie du Comtat at Carpentras. 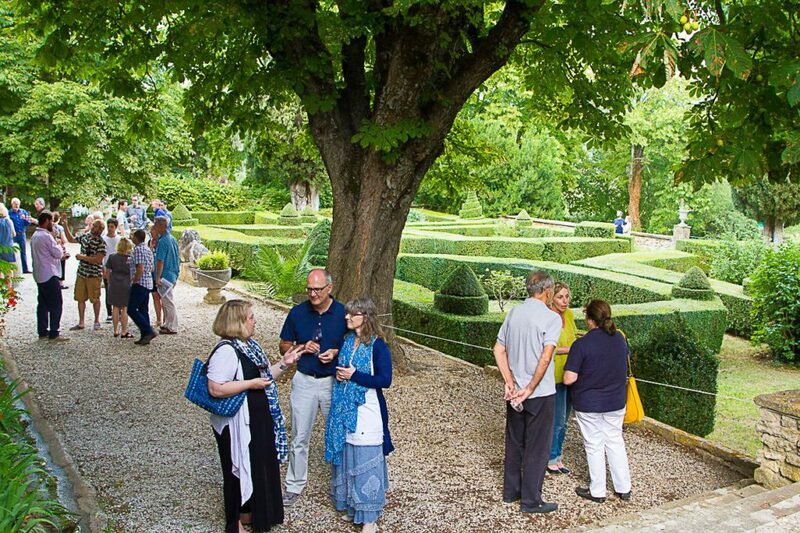 This is the only event of the year that happens at the Chateau, which we normally guard as a private haven. If you are interested please do contact us to reserve your places – the cost is €20 per person. 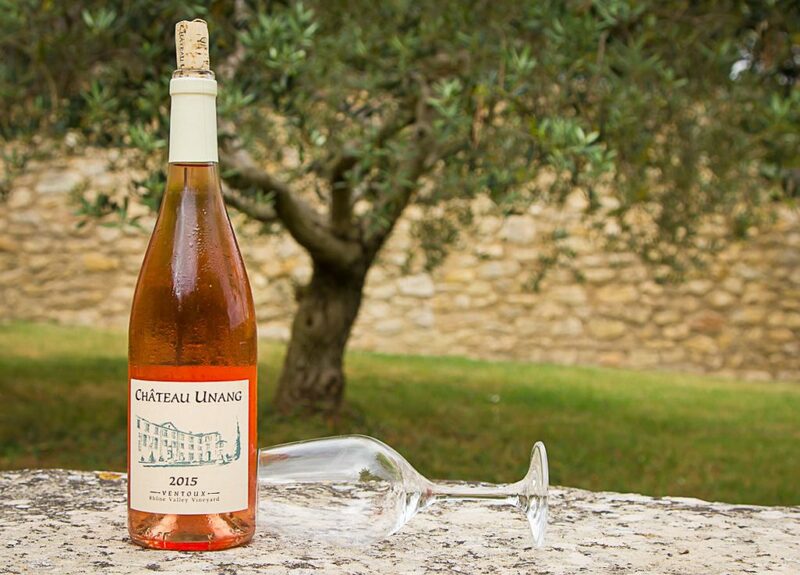 Email bureau@chateauunang.com or call +33 0490699137.